Engagement photos are a fun way to announce to the world that you’re getting married! They are perfect to use on save the date cards and to post on social media. More recently, these pictures are also being made for photo sign-in books and personalized favors. Since every photographer has a different vision, work style, and personality, doing an engagement session will give you a preview of how it would be to work with that person on the wedding day. It’s probably the best way for couples to see if a photographer is a good fit. 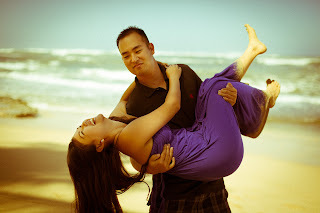 We always enjoy our engagement sessions, and we try to keep them light-hearted and relaxed. The more we can interact with a couple before the “big day,” the more comfortable we all are working together. 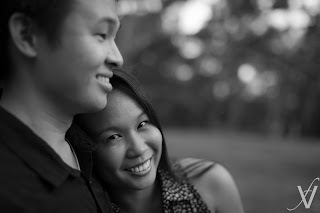 Each couple has that special something that we try to bring out during their session, so they feel like we really captured their love for each other. If you would like to share your happiness with the world, let us know! Contact us through our VIVIDfotos Facebook or Email. We would love to have a shoot with you!